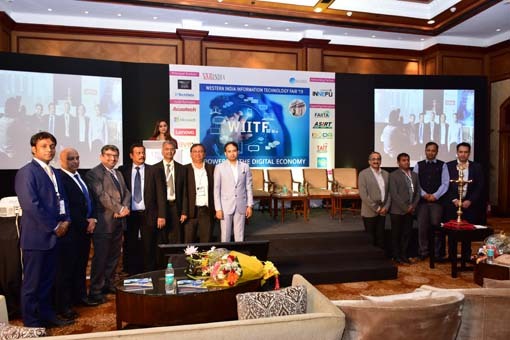 With a view to helping grow Channels and empowering them, VARINDIA for the fourth consecutive year successfully concluded its Eastern India Information Technology Fair (EIITF) in the City of Joy, Kolkata. The topic for this year’s event was "ICT Confluence: Government’s Plan for e-Governance". This event is an umbrella under which CEOs, CXOs from vendors, VARs, Distributors and System Integrators from the ICT sector come together to learn through knowledge sharing by way of white paper presentation, AV showcasing and participating in the interactive sessions about the latest trends that shape the IT industry. Unveiling several initiatives, speakers from various verticals of government, PSUs, industry bodies and industrialists also participated in the function. 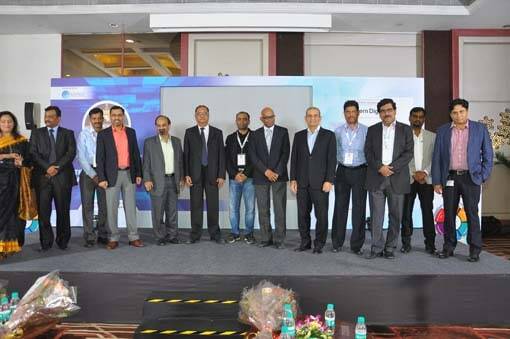 The event was attended by over 200 senior officials from the IT Department, WEBEL, WTL and STPI, to name a few. The Chief Guest of the event was Shri Prabir Kumar Das, Managing Director, WEBEL. 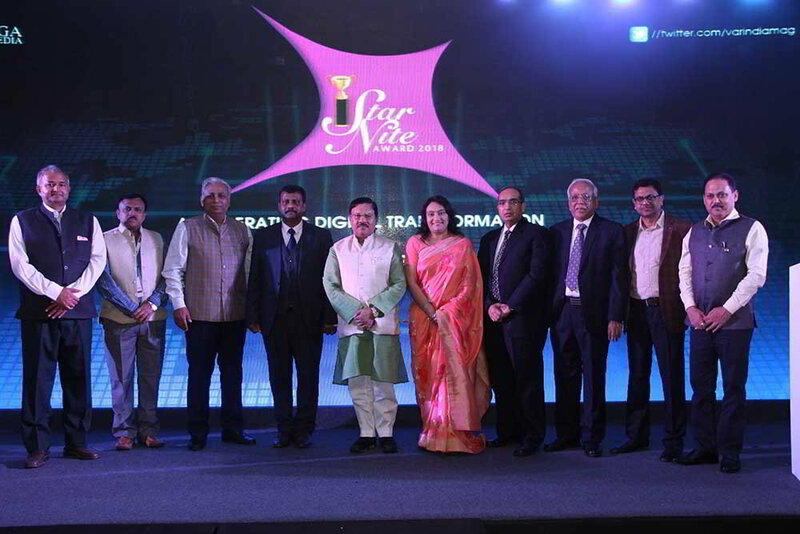 Other guests who had attended the event were Manjit Nayak, Joint Director, STPI, Kolkata; Pradeep Biyani, President, COMPASS; Alok Garodia, Managing Director, Jupiter International; Col. H. P. S. Bawa, CEO, WTL; J. P. Singh, Executive Director, RailTel Corporation of India; Hemant Chabria, Director, Chabria Infotech; Manoj Jain, Managing Director, Ishika Technologies; Nirupam Chaudhri, Regional Head – East, NASSCOM; Soumitra Chakraborty, Director, Amtrak Technologies; Anirban Banerjee, Head – Marketing – EPABX, Panasonic; Satya Kalyan Mohanty, Channel Manager, Check Point Software Technologies; Pawan Jajodia, Chairman, Exhibition – COMPASS and senior executives from the leading IT organizations such as IBM, HP, Wipro and Microsoft. The event kick-started with an opening address by Deepak Kumar Sahu, Publisher, VARINDIA. In his inaugural speech, he mentioned how VARINDIA creates a platform and ensures that the pain points of the IT industry are addressed and resolved. He also discussed the increase in the number of SMEs in the field of Chip designing, IT-BPO/KPO activities, especially with the rise of several software start-ups and SMEs. Speaking about the opportunities within WEBEL, Shri Prabir Kumar Das, Managing Director, WEBEL, mentioned about the various services and integrated solutions offered by WEBEL as a nodal agency. He further added as how these types of events are very helpful to create an e-enabling ecosystem in eastern India. He mentioned, “In its 14th years of journey, VARINDIA has done an excellent march and are championing the cause of the small and medium sectors of IT industries. The Govt. is doing its job reasonably well in the sense, the govt. has not pertained its budget for spending of IT and other related fields spending. The govt. has been every year increasing the budget and trying to see that its march towards digital govt. is going on. If you look into the case of Bengal, the Govt. of West Bengal has taken a decision that all the District Magistrate's office record room will be digitized. And to start with, surprisingly, the District Magistrate of Darjeeling took the initiative and we have successfully completed the job of Darjeeling DM’s office. All the records were fully digitized and everything is on the wave of course not for the public but to the DMs office and to all the staff. Similarly the Govt. of IT department of West Bengal has just decided to complete another 7 to 10 DMs office to fully digitize by this year end. So, there is again a very clear sign that things are improving. I’m sure the days ahead are better and more and more opportunities will come on the way. Manufacturing is again an area we should look for." Emphasizing the role of COMPASS in the promotion of IT in West Bengal, Shri Pradeep Biyani, President, COMPASS, spoke about the role COMPASS has played in helping their members in solving various issues relating to legal and logistics in coordination with the vendors. He said, "The major activities that COMPASS has been doing is to bond the members, all the IT community where we are working together. The biggest flagship event is the COMPASS exhibition. COMPASS’s main role is to get the channel business healthy together in a firm manner. So, we at COMPASS always try to get things consolidated with the members, we try to work with the ecosystem of the partners including OEMS, all brand owners, distributors to give them a health platform in this part of India. Besides COMPASS Exhibition, we are planning a COMPASS Carnival of sales in the next six month's time." There were showcases and presentations from NIXI, Panasonic and Check Point. Mentioning about the contribution of Channel Partners in bringing success to any emerging security business, Ved Prakash, Marketing Manager, Check Point, spoke about the Security landscape and the solutions offered to address this challenging area. Anirban Banerjee, Head - Marketing - EPABX, Panasonic, gave a presentation on opportunities for the Channel Partners ahead with the various technology solutions being offered with indigenous and customized features. The active participation of the senior delegates in the panel discussion on the topic "Empowering VARs to enhance Productivity", which was moderated by Deepak Kumar Sahu, Publisher, VARINDIA, was another attraction for the evening. The panellists on the dais from various cross-sections of the industry were Manjit Nayak, Joint Director, Office-in-Charge, STPI, Kolkata; Col. H. P. S. Bawa, CEO, WTL; Manoj Jain, Managing Director, Ishika Technologies; Nirupam Chaudhri, Regional Head – East, NASSCOM and Alok Garodia, Managing Director, Jupiter International. The audience comprising of members from NASSCOM, VARs, System Integrators and Economists also participated during the Q&A session. The panel discussion proved to be a great brainstorming session. Discussions ranged from the business complexities given rise by the new technologies emerging almost every day to the abrupt fall of the Rupee which has led to the rise in the import cost and the difficulties faced by the industry as well as the consumers and appeals to the Government to include Exchange Rate Variation (ERV) clause for the purchase of goods. It really helped the partners to build a robust ecosystem in the ICT industry. The objective of EIITF was very well achieved by making the VAR community aware about the technology trends shaping these fields and how they can improve their skills in these segments in the field of collaborative technology by sharing the best practices. There was also a lucky draw where three lucky winners walked away with Amtrak tablets.